As much as I want to have the student loans paid off, I’m still not forgetting about this very important part of my life. In fact due to the power of compounding and long term effect on my quality of life this is almost as important as getting rid of Navient. I used 4% because after taxes this is probably a more accurate estimate of how much I’ll have by the time I’m 65. The good thing is that next year assuming I stay at my current path my balance will essentially double. If I become more aggressive like I’m planning to after the student loan is out of the way I will be on target to have even more. My long term goal is to have $1,500,000 set aside by the time I am age 65. By the time I hit 40 I want an income goal of $100k gross (almost 80% more than I earn annually today). I also plan to put $20k aside each year toward that goal. This year I plan to read a lot more about entrepreneurship and business in general. Since getting my MBA in 2008 I’ve been more lax than I care to admit. I have a taste for being financially independent. It just needs to be on my terms and no one else’s. Credit Cards – Do I need to keep using them? Saving for retirement is SOOOO important. I’m 42 now, and wish I had started earlier. The time really does help it to grow, I can’t stress that enough. It might even be more important than paying off the student loan, although I can certainly understand the desire to do that. The way I look at it, the loan will be there for a while, but when you save for retirement, you are putting yourself first. And that’s so important. I like the new mantra!! I tried to comment on this earlier today but I switched apps on my phone and it wiped it out. 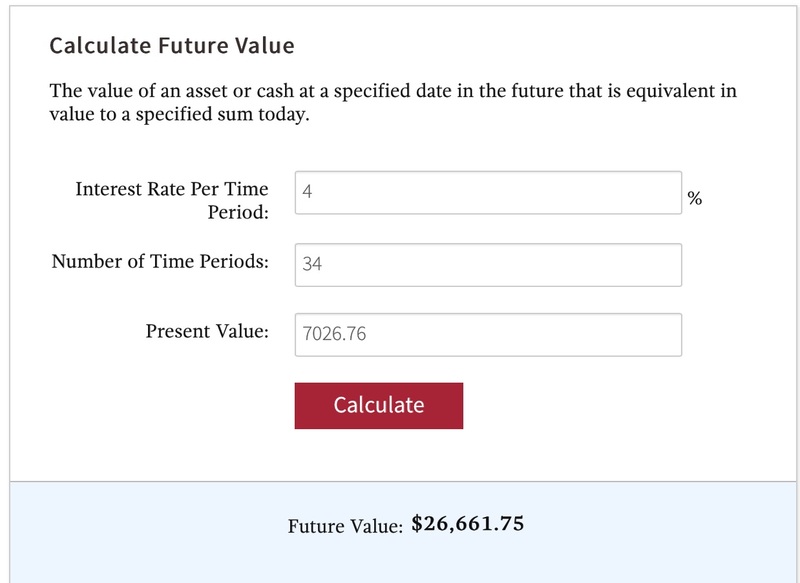 I was looking at Dave Ramsey’s Investment Calculator (http://www.daveramsey.com/elp/investing-calculator-article#/entry_form). 1600/mo (roughly half my current take home) for 34 years I’d have $2.1M at 6%. I agree, it’s definitely fun to play with the numbers. I have a good friend who does it all the time – she’s got lots of loans like you and me, and is also saving for a house at the same time, and she lives in a super expensive city. Doesn’t it feel great to take control of your life?? ?